LANSA Professional Services very quickly embraced and enhanced the business vision. Customer Rotary Corporation is the world's largest supplier of parts and accessories for outdoor power equipment. Challenge The old web portal for dealers had a rigid layout, no SEO page indexation, limited search facilities and didn't give marketing real control over content. Solution Implement a mobile responsive web solution for dealers with sophisticated product search and content management facilities. The solution integrates with Rotary's ERP without duplication of business rules, price calculations or data. Key Benefits It's now easier and quicker for dealers to research, order and sell Rotary's products. The site increased brand awareness and allows Rotary's marketing team to control the style and the content of the website. It's not just about having a functional B2B eCommerce site anymore. Sure, it is still important your site can securely handle order transactions, a reasonable number of SKUs and integrate with your backend ERP, but most companies already addressed these fundamentals a while ago. Nowadays, business customers have consumer expectations and the user experience on the site can make or break a brand. Increasingly, stakeholders from marketing want to be in charge of the content and style of the site, without having to rely on IT. As part of a rebranding exercise, Rotary Corporation, the world's largest supplier of outdoor power equipment parts, has recently launched a responsive website. The site's public corporate pages and dealer transactional pages are both driven by LANSA Commerce Edition. Built by LANSA Professional Services, designed by a digital agency and managed by Rotary's marketing team – the site has increased brand awareness and has become the number one source of information for dealers and consumers. 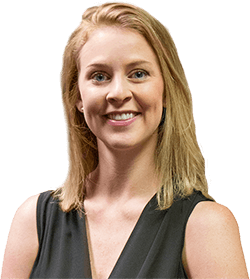 Caylee Bickmore, Web Marketing Coordinator at Rotary Corp.
Rotary Corporation is the world's largest supplier of parts and accessories for outdoor power equipment, such lawn mowers, chainsaws, snow blowers and more. Its extensive product line of over 9,500 SKUs includes blades, filters, spark plugs, tires, belts & pulleys; wheels, trimmers, ignition parts, engine components and much more. Rotary products are of the highest quality and perfect replacements for leading small engine brands such as MTD, Honda, Kohler, Briggs & Stratton, Husqvarna and others. Rotary sells exclusively via dealers and has been offering its dealers an eCommerce website since 2002. The site, which also contained corporate pages for viewing by the public, was integrated with Lawson ERP. Although still functioning reliably, the site was showing its age and couldn't meet Rotary's new business requirements. Caylee Bickmore, Web Marketing Coordinator, explains, "We wanted to increase brand awareness, but the old website didn't lend itself for any rebranding. It had an old fashioned and rigid layout and as a marketing team we were struggling to get things up the way we wanted to". The old site didn't allow for any reporting, such as statistics regarding the volume of website visitors. Neither were the pages indexed for search engine optimization (SEO). Both issues were largely due to the fact that the pages had dynamically generated URLs (containing the session id), typical for early generation eCommerce websites. Altogether the marketing team had hardly any means to measure the effect of promotions and marketing campaigns. The old site also had limited search facilities, making it hard to find products. The prime reason for this were the short item descriptions and limited item information from the ERP system. Although Rotary had rich product information available for its printed catalogue, that information was held in an isolated FoxPro database that wasn't available to the website. Finally, Rotary's marketing team couldn't easily create new web pages or update existing ones, such as for promotions and seasonal tips. There was no integrated content management facility and almost all web updates required assistance from the IT department. "In short, we didn't have any real control over the website from a marketing point of view," says Bickmore. We didn’t have any real control over the website from a marketing point of view. Rotary's marketing and IT team started looking around for a new eCommerce solution and talked with several vendors, including LANSA who had delivered the existing solution (LANSA Commerce Edition) in 2002. After evaluating the options, Rotary elected to continue with LANSA. "In the 12 years that had passed, LANSA's technology had tremendously evolved," explains Bickmore. "Equally important, LANSA Professional Services had a deep understanding of the subject matters at hand, such as the importance of the ease of doing business for the dealer, web design and SEO. They very quickly embraced and enhanced the business vision. We had created a wish list based on the results of a survey to dealers I had conducted earlier that year. The LANSA consultant was really thinking together with us and came with good suggestions and additions to our wish list." After initial discussions and ballparks, scope meetings were held and LANSA Professional Services drew-up a project plan and requirements definition document. Several design meetings took place. "The partnership between Rotary, LANSA and the digital agency worked really well," says Bickmore. "Project communications were frequent, transparent and promoted progress toward a shared goal. We contributed to each other's ideas and felt we were speaking the language. This project was largely driven by marketing and required creativity and strong understanding of the opportunities that web and mobile offer. The quality of what we produced in collaboration with each other is absolutely great and we enjoyed working together." A new version of LANSA Commerce Edition was installed and the many customizations that Rotary had made to its existing solution were taken across. Some of them could be re-used 'as is' and some were redeveloped. The graphics and style elements, resulting from the rebranding project with the digital agency, were implemented in LANSA's presentation layer, which is responsible for dynamically generating the mobile responsive web pages. The newly generated pages come with autocomplete in the search fields, a choice of list and grid views and a choice of how many items to display on a page. Using the content management system, marketing staff can set up generic pages, such as a news room and ‘about us' pages. Rotary's YouTube videos are dynamically launched. All web pages are tracked in Google Analytics. The rich product data that was previously held in an isolated PC FoxPro database was migrated to the same platform that hosts Rotary's ERP system. A modern web application was built to maintain the data. This application was also the starting point for an internal web framework that centralizes user authentication and authorization for Rotary employees. The web framework will make it easier for Rotary to host other vital applications and reports, by improving security of access to sensitive data. Having the rich product data available to the website, in combination with information from the ERP, allowed Rotary to create sophisticated product filtering and searches. The new faceted search can be on brand, keyword, OEM or Rotary part number, size, model number (find all the parts that fit), and other specifications. If you are not sure what you want, you can start with the ‘all products' tab and click on the categories to filter down that way. The same product search is available to the public and the dealer, but if you want to place an order for a product, you need to login as a registered dealer. Consumers can use the dealer locator and purchase products from a dealer near them. Dealers also have available to them a personal catalog, a facility to import orders, order tracking, PDF invoice access, multiple payment methods and everything else that you expect in a modern B2B commerce solution. LANSA Integrator is used for ePayment, generation of PDF documents and automated email distribution of order confirmations and invoices. Many dealers offer Rotary products to consumers on eBay, Amazon or their own website. To help dealers expand their web presence, Rotary now makes rich product data and images available for download from the website. 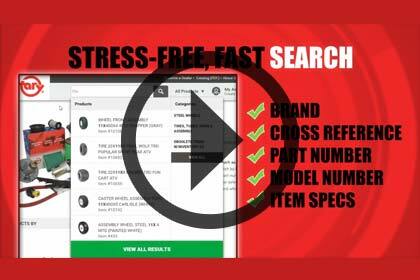 The new faceted search can be on brand, keyword, OEM or Rotary part number, size and other specifications. Rotary Corporation's extensive product line of over 9,500 SKUs includes blades, filters, spark plugs, tires, belts & pulleys; wheels, trimmers, ignition parts, engine components and much more. "The new site, with its fresh modern look and mobile responsive pages, has increased brand awareness among dealers, potential dealers and the general public. The site sends a clear message of who Rotary is, complements our corporate branding, and makes it easier for a dealer to do business" says Bickmore. "Those were our primary goals and we achieved them." "The site helps to ensure that dealers who are going to resell our products have the best possible information available. We have made it easier and quicker for our dealers to do business. Easier to research our products, easier to order and easier to sell. A growing number of dealers are selling online and we expect the online business to continue to grow. By making rich product information available for download, we aim to help our dealers to expand their online presence," continues Bickmore. Rotary's dealers have responded very positively. They love the site's responsive design and easy product search. They can now place orders on their mobile device, while checking inventory on the shelves. Dealers also use their mobile devices to answer questions from customers visiting their store. It's not only the dealers that are happy. Rotary's marketing team is pleased as well. "We are finally in control of the content on our website. Using LANSA's content management system, we can change the style of the site and create and publish web pages ourselves, such as the monthly specials, seasonal tips and news items," says Bickmore. "The site is intuitive and easy to use. We all adopted a ‘mobile first' mentality, rather than making mobile a second consideration after a desktop browser. The site has friendly URLs that are indexed by Google and easy to link to. We now have decent statistics and web traffic tracing and can see the result of our promotions. We can say with confidence that the site has become the primary product information source for dealers as well as consumers." We have made it easier for our dealers to do business. Easier to research our products, easier to order and easier to sell. LANSA Professional Services conducted the requirement analysis, project scoping, technical consulting and the actual development work for Rotary's eCommerce solution. "The LANSA team worked closely with our senior management, marketing team and with the digital agency that we had selected. They understood what our objectives were and what we had to do to achieve them. They set very clear expectations and made sure we were all on the same page. They were easy to get hold off and pleasant to work with." "The website is an important instrument for the way we do business with our dealers and how we present ourselves to the bigger public. The LANSA team didn't just simply copy our requirement definitions. They took the time to improve on it, and came with great suggestions to improve the functionality and enrich the user experience. We felt they were as dedicated to the success of the website as we were," concludes Bickmore. The LANSA team didn’t just simply copy our requirement definitions. They took the time to improve on it. Rotary Corporation is the world's largest supplier of outdoor power equipment parts. Its extensive product line includes lawn mower accessories such as blades, filters, spark plugs, tires, belts & pulleys; wheels, trimmers, edger blades, mufflers, ignition parts and engine components. The commerce website runs on IBM i, the same platform as Rotary's Lawson ERP system.